It’s not every day you see an Airedale in Doggles. This shoot was for a magazine, and the magazine had already gotten flack from readers about ‘dog safety’. So Henri was required to wear Doggles, and be securely fastened to his seatbelt while in the car. I think he looked pretty adorable, what do you think? I also love the juxtaposition of his orange fur against the bright blue sky and deep orange of the metal sculpture art behind him. 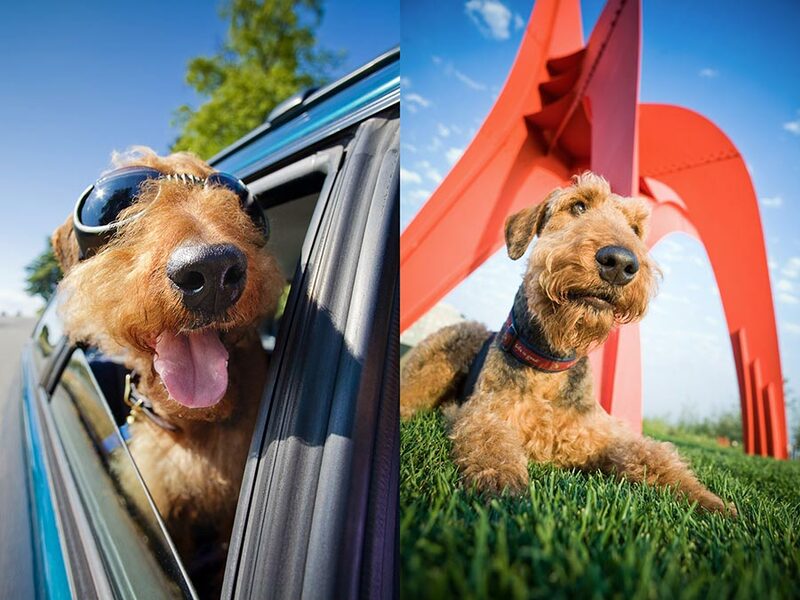 Airedales can be a bit tricky to photograph due to the unusual fur on their face at the ‘bridge’ of their nose. I always want to bring a little comb and some hairspray with me when photographing Airedales. But I think Henri’s scruffy face hairs make him even more endearing. Photos taken in Seattle, on Magnolia and the Olympic Sculpture Park, the latter of which is one of my favorite places in the country to do photography. When it’s not raining that is! 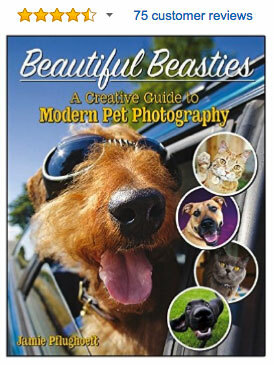 The photo on the left also made it on the cover of the book I wrote- Beautiful Beasties, a Creative Guide to Modern Pet Photography.